scale is 5 mm. 15 Aug 2011. J.M. Huisman. © J.M. Huisman. Published in: Kraft, G.T. & Abbott, I.A. (1971). 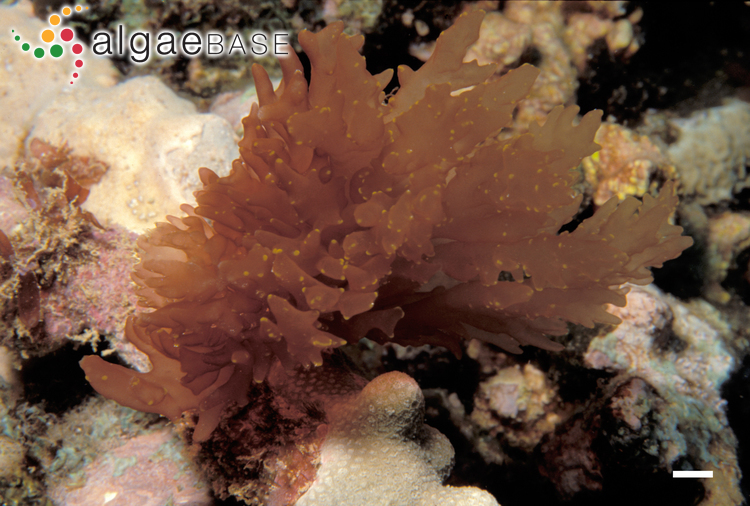 Predaea weldii, a new species of Rhodophyta from Hawaii, with an evaluation of the genus. Journal of Phycology 7: 194-202. John et al. (2004) cite Predaea pusilla (Berthold) Feldmann as a synonym of this species. 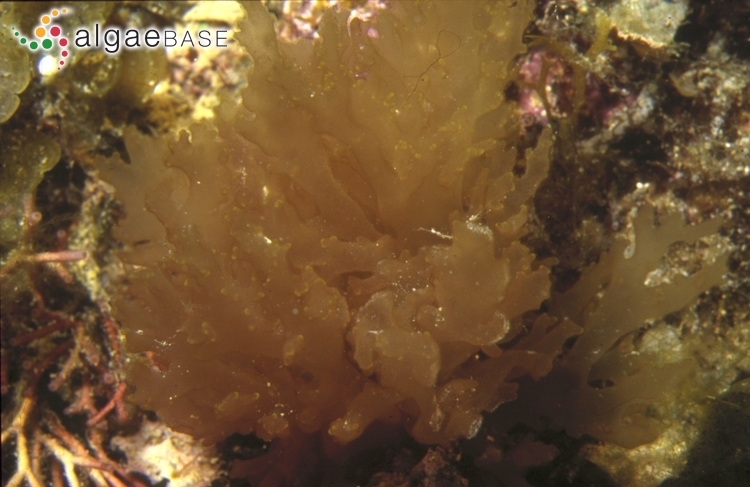 Type locality: Kaneohe Bay, Oahu Island, Hawaii (Kraft 1984: 15). Holotype: BISH K1280E (Kraft 1984: 15). Ballantine, D.L. & Aponte, N.E. (1997). Notes on the benthic marine algae of Puerto Rico. VI. Additions to the flora. Botanica Marina 40: 39-44, 9 figs. Accesses: This record has been accessed by users 2766 times since it was created. Kraft, G.T. & Abbott, I.A. (1971). 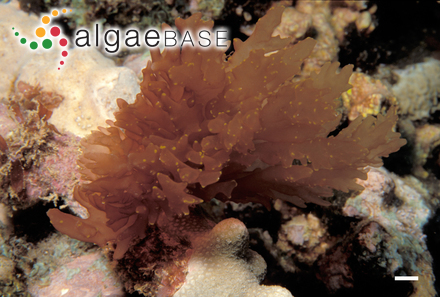 Predaea weldii, a new species of Rhodophyta from Hawaii, with an evaluation of the genus. Journal of Phycology 7: 194-202.